Grace Orthodox Presbyterian Church was particularized on this day in 1968 as an organized church in Hanover Park, Illinois. When Grace Chapel became an established church, the congregation ordained its first ruling elder, John Baldwin, who has served at Grace and at numerous mission works in the Presbytery of the Midwest for forty-six years. His wife, Joanne, was the first accompanist of the congregation. Jack and Agnes Snow, Bob and Jean Delfavero, and Bill and Aileen Schulz joined the Baldwins as the original four families. Four years earlier in 1964, the Presbytery of Wisconsin had asked recent Westminster Theological Seminary graduate Donald Duff to act as a missionary to this northwest suburb of Chicago. Two years later Bethel Presbyterian Church in Wheaton assumed oversight of the mission work and called licentiate Jim Bosgraf as their assistant pastor to labor at Grace Chapel. Jim was not only installed as the first pastor of Grace Church, but also men from the chapel remade the Bosgrafs’ garage in Hanover Park into a worship facility. The church later built a new facility in 1985. Jim was their pastor until 1973. David Cummings then served from 1975 to 1986 and Douglas Clawson from 1987 to 2002. From 1999 to 2001, David VanDrunen labored as assistant pastor. Matthew Cotta served from 2003 to 2017 and Andrew Fortenberry since 2018. Over the years the church has exercised oversight of mission works in Rockford, Chicago, Grayslake, and Springfield, Illinois, and in Janesville and Madison, Wisconsin. 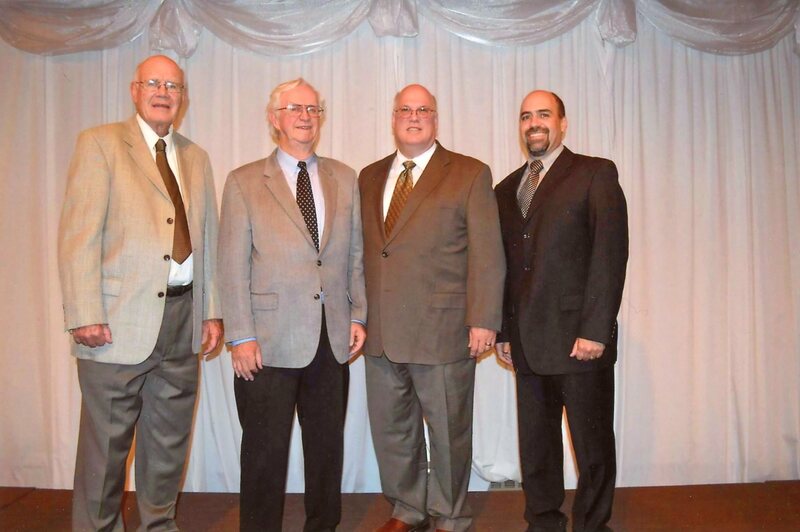 Picture: Donald Duff, Jim Bosgraf, Douglas Clawson, and Matthew Cotta in 2013.